For the first time in a long time, Transformers fans have a lot to be excited about when it comes to the robots in disguise being represented on the big screen. Thanks to a decent box office take and, more importantly, very solid reviews/word of mouth, Bumblebee 2 is in the works at Paramount. While it's in the early stages and there are other projects that look to be coming down the pipeline first, this is great news for those who want to see the franchise continue down its current course. 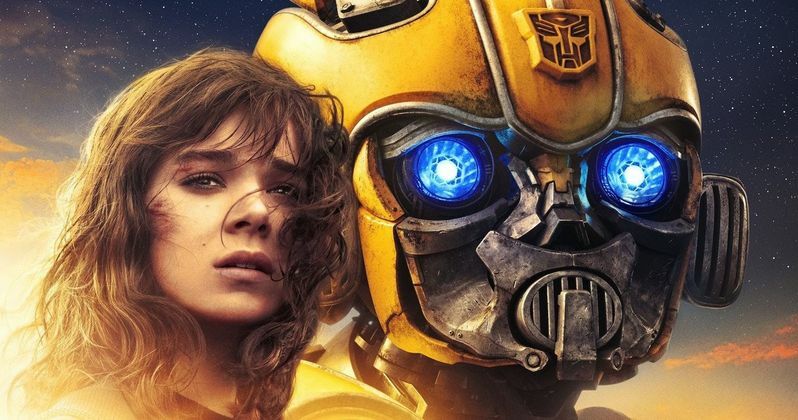 According to a new report, the studio is in development on a sequel to last year's spin-off/prequel Bumblebee. With its take over the weekend, the Travis Knight-directed blockbuster has grossed $412 million worldwide. While that's low for what we have come to expect from the Transformers movies over the years, it's apparently enough to make the movie profitable. Producer Lorenzo Di Bonaventura had this to say. "We had many objectives (including) to bring a new set of families into the series, and that succeeded; in the after markets that will continue to succeed in a big way. Part of our obligation was to bring people back who had left the franchise or never experienced it which worked well... We are finding our way. Our intention was we wanted to please the core fans but also bring a new audience." The franchise was not in a good spot ahead of Bumblebee. 2017's The Last Knight, the fifth of these movies directed by Michael Bay, was lambasted by critics and grossed a full half a billion dollars less than its predecessor, Age of Extinction, at the box office. Things were trending downward in a big, bad way. Paramount, instead of digging in and doubling down with the Bayhem, decided to take a new approach. Bumblebee was a much more grounded tale set in the 80s that seemed to give fans of the franchise what they had wanted for some time. As of this writing, the movie currently holds an incredibly solid 94 percent approval rating on Rotten Tomatoes from critics, something no other movie in the series even got close to. And that could be key with a sequel, as word of mouth could help push the box office for the follow-up much higher. Look at something like John Wick to John Wick: Chapter 2 where solid buzz nearly doubled the sequel's take at the box office. As for other Transformers projects? This latest report states that an animated movie, which may be the CGI Cybertron movie we've reported on previously, is in the works, to go along with future installments of the main Transformers series, which may introduce new characters into the fold. Hopefully, those movies take a page or two out of Bumblebee's book. For the time being, there is no word on who may direct Bumblebee 2, or when we could possibly see it enter production. This news was first reported by Deadline.